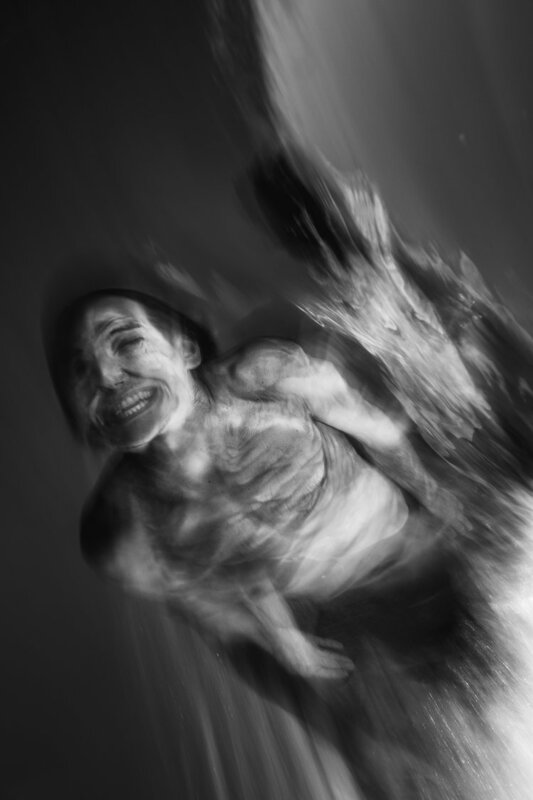 Two Australian photographers, Trent Mitchell and Andrew Kelly, are through to the penultimate round of the prestigious 2019 Sony World Photography Awards. Lost Atlas. Photo: Trent Mitchell. The Australians are among 10 shortlisted per category, with their images rising to the top of a record-breaking 326,997 entries by photographers from 161 countries. 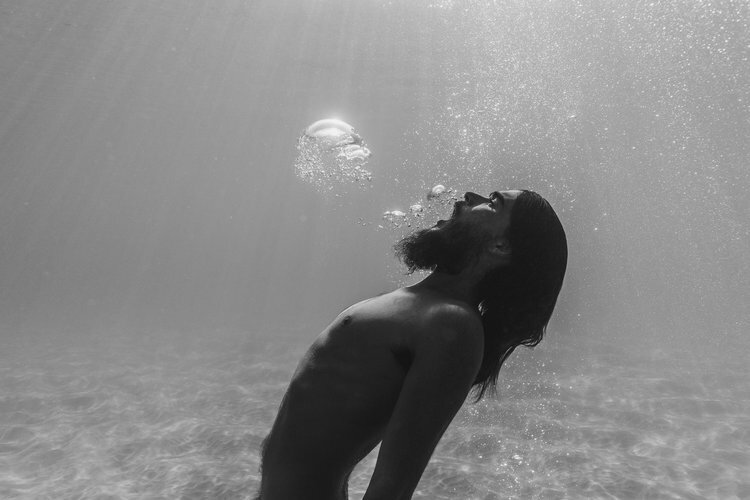 Gold Coast surf photographer Mitchell is a finalist in the Professional Sports category for his series, Inner Atlas, a quirky study of bodysurfers. Inner Atlas. Photo: Trent Mitchell. Mitchell is a commercial photographer focussed on surf and water lifestyle, and his unique approach has earned him an impressive list of awards. Kelly, a Melbourne-born, New York-based photojournalist, is a finalist in the Professional Documentary category for Outlawing the Face Veil in Denmark. 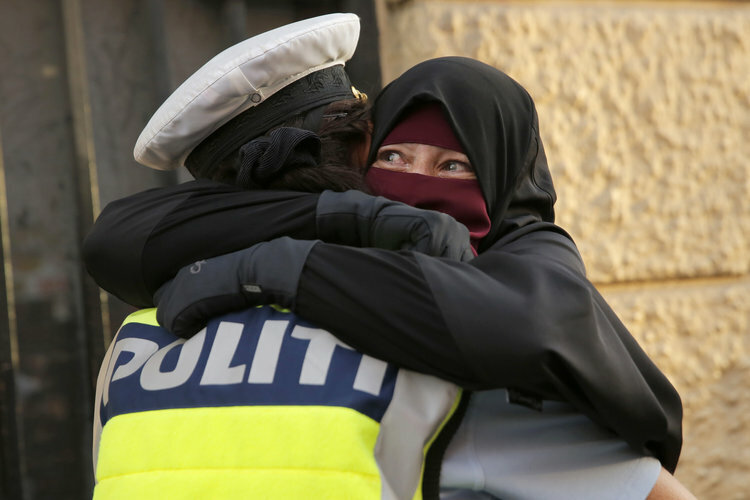 Ayah is embraced by a police officer during a protest against the veil ban in Copenhagen. The officer has since been subjected to investigations ordered by the ruling political party of Denmark for ‘appearing to take sides on the issue’. Photo: Andrew Kelly. On May 31, 2018, the Danish government voted to ban the wearing of face veils in public. Under the law, police will be able to instruct women to remove their veils or order them to leave public areas. Fines will range from 1,000 to 10,000 crowns (US$160 – US$1600). 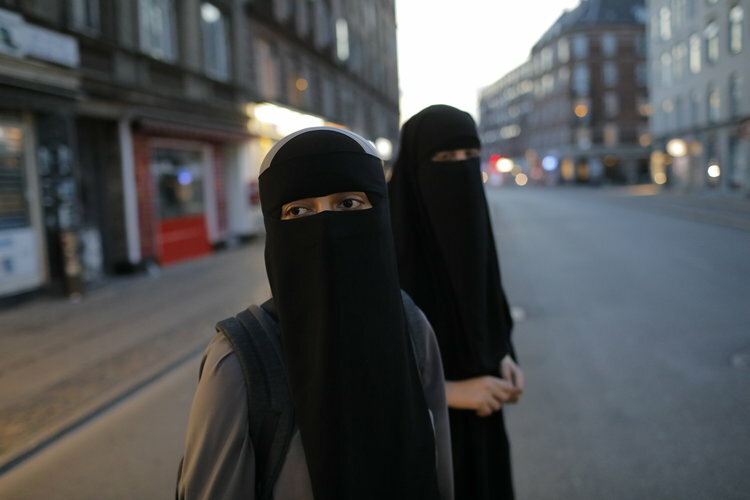 Sabina and Alaa, both members of the activist group Kvinder I Dialog (Woman in dialogue), wait to cross a street in Copenhagen, Denmark. Photo: Andrew Kelly. The ban would prevent Muslim women from wearing the niqab or burqa in public. Some politicians asserted that the law promoted public safety and secular and democratic values. But many people felt it was an easy way for the government to appease a growing nationalist voter base. Numerous social media campaigns in Denmark have demanded stricter laws on non-western immigrants, a reflection of rising populism in Europe. Denmark has struggled with integrating non-western immigrants, resulting in what have been labelled ‘parallel societies’ within the country. An estimated 150-200 women wear the niqab daily in Denmark (pop 5.5 million) according to a University of Copenhagen study. Bathers watch on as Mizgan, Aisha and Nayab walk by in Copenhagen, Denmark. Photo: Andrew Kelly. Kelly is fascinated with communities of people. This series was shot for Reuters, and he’s also worked on assignment for Getty, New York Times, and Wall Street Journal. The 10 category winners will be announced at a ceremony in London on April 17, alongside the​ grand prize Photographer of the Year award. Click here for all finalist images.